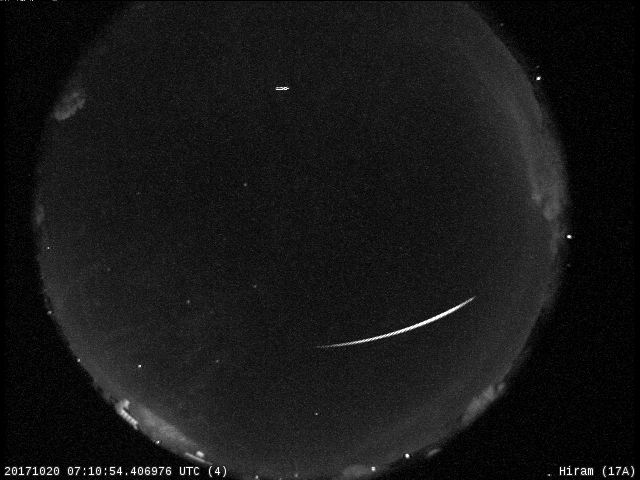 Peaking this weekend: Orionid meteors aplenty! 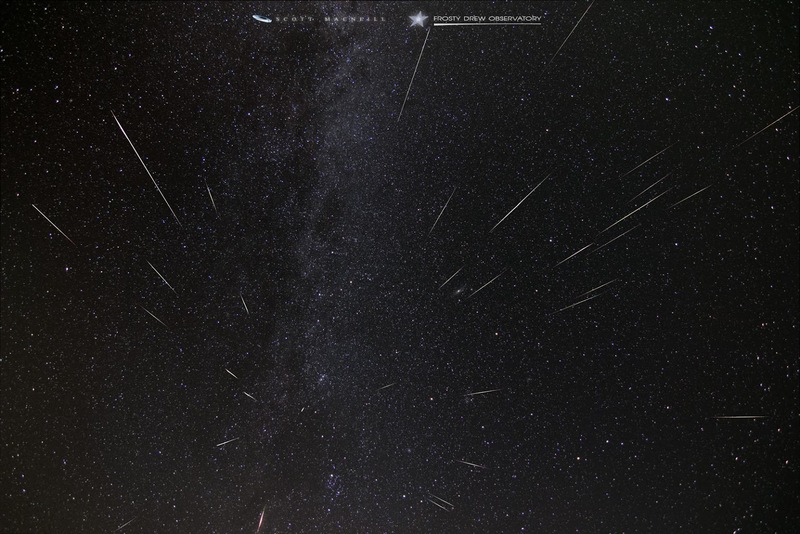 Earth is entering a stream of debris from Halley’s Comet, source of the annual Orionid meteor shower. 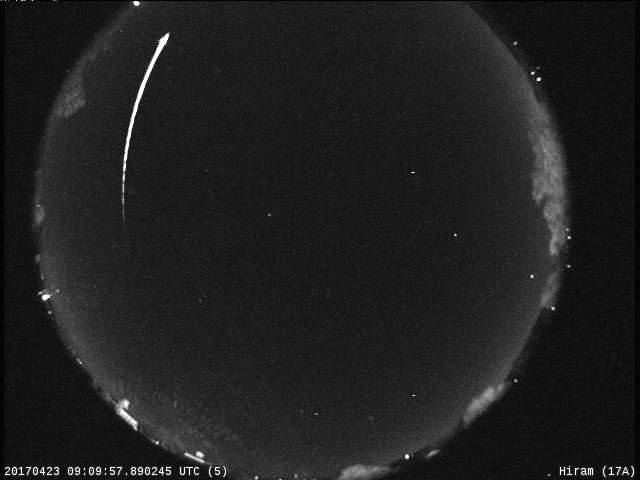 Thursday night, NASA’s network of all-sky meteor cameras detected 23 Orionid fireballs over the USA –meteors that flare brighter than the planet Venus shines– a result of comet dust hitting the atmosphere at speeds exceeding 65 km/s (145,000 mph). 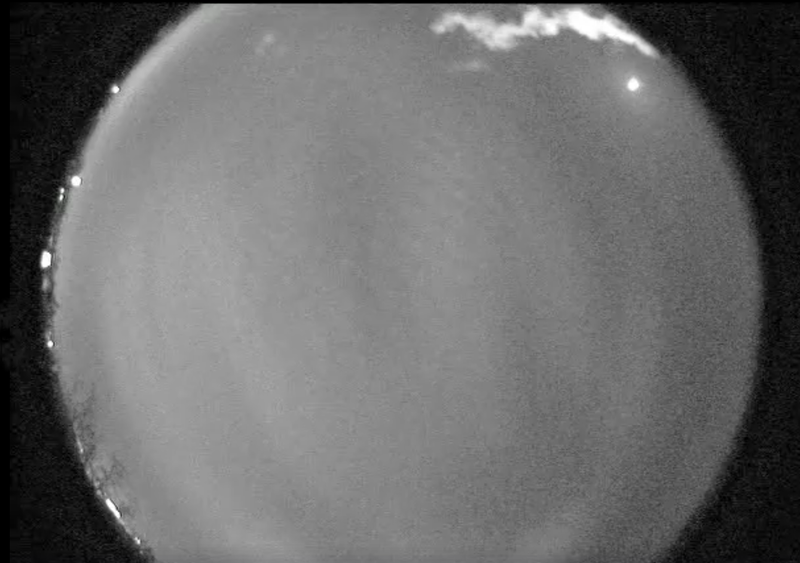 Among several fireballs recorded by the Fireball Network camera on the Hiram campus was the grand meteoric streak pictured above; that fireball was also recorded by the camera located at the Allegheny Observatory in Pittsburgh in the wee hours of Friday morning. 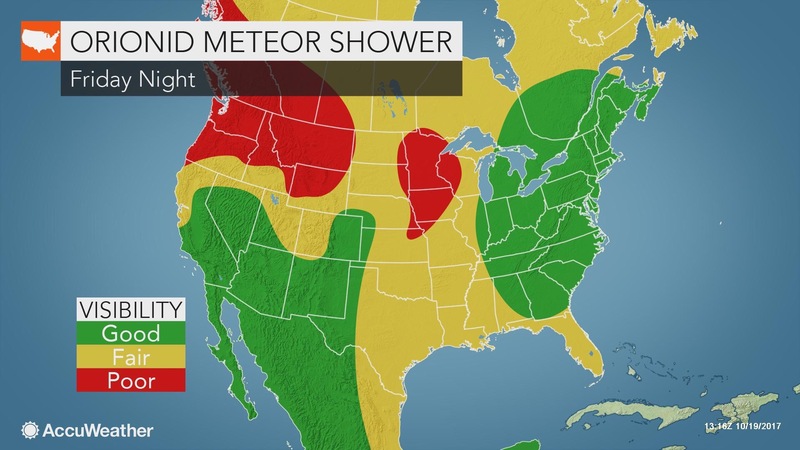 Forecasters expect the shower to peak on Oct. 21-22 with as many as 25 meteors per hour. 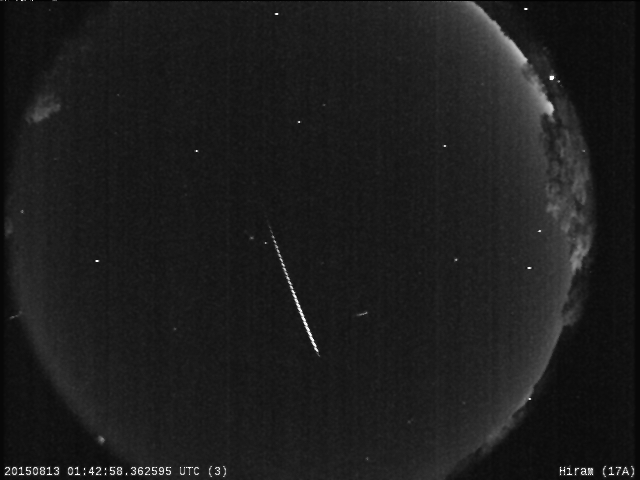 The meteor shower is called “Orionid” because the “falling stars” appear to originate from the vicinity of our sky occupied constellation Orion. 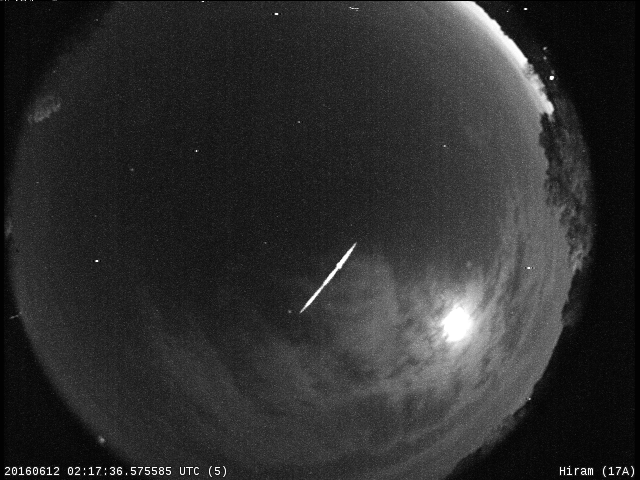 Visit Spaceweather.com for observing tips and sky maps. 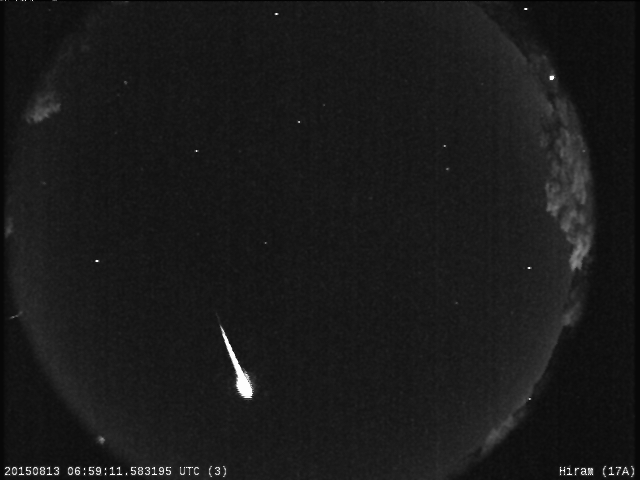 — From a report by Spaceweather.com plus local contribution.